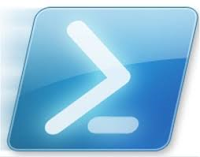 I'm very pleased to announce that version 5.0 of my PowerShell Management Agent is released and available for download. Option to use paged imports, which gives you even more control in your scripts and better support for stopping runs. Bug fixes and increased robustness. I'm not going to spend a whole lot of time on these new features but instead than refer you to the updated online manual which also has links to downloads. Also, this version was the one used at my presentation and live demo on the FIM Team User Group meeting. You can view it here on YouTube. I'd like to hear from you - good or bad news - and I'm of course always open to feature requests. So please do let me know what you think about this MA and I also very much appreciate a "Like" on my blogs page on Facebook.